• Christmas themed match three adventure. 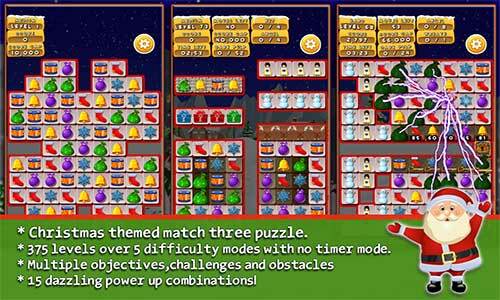 • 375 levels over five difficulty modes including relaxed no timer special. 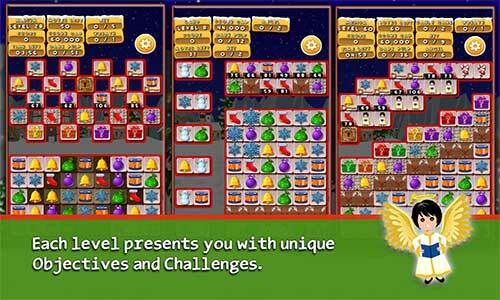 • Each level presents you with unique Objectives and Challenges. 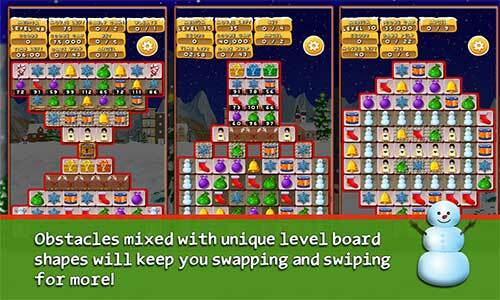 • Obstacles mixed with unique level board shapes will keep you swiping and matching for more. 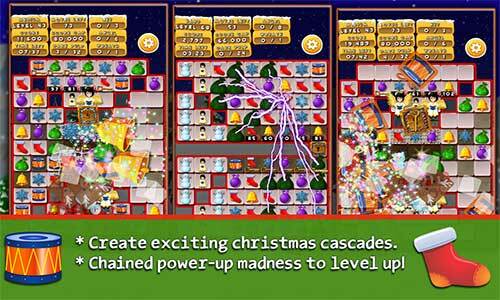 • Create powerful chained power up cascades to level up! • No in-app purchase, one time payment for the whole gaming experience. • Hints/Music/Banners can be disabled.